Last week in the UK, you couldn’t walk into a shop without seeing a huge pile of (fairly dangerous looking) fireworks taking centre stage, and I received a variety of email communications with some (often tenuous) links to the British tradition of standing around a bonfire and watching fireworks on 5th November. This made me think about different traditions and events that aren’t globally celebrated, but that offer opportunities for businesses to tailor campaigns, push different products and engage effectively with their audiences in different countries. The list could go on for ever, but I’ve compiled a few examples of customs, celebrations and national holidays that could present interesting opportunities for the creative marketer. The antidote to St Valentine, rather than celebrating love and couples, the Chinese choose to celebrate their singles. This happens on 11th of November (11.11…the number 1 reflects single) and is celebrated by a huge one day sale which last year generated more online revenue than Black Friday in the US. Retailers will run promotions leading up to Singles day to boost their sales and it’s probably fair to say that the day has become more about online shopping than celebrating the joys of single life –which can online be good news for ecommerce brands! 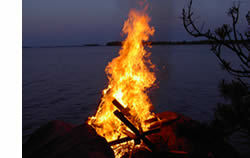 Given that they are cloaked in darkness for many of the winter months, it’s no surprise that Midsummer has some significance in the Nordics and Baltics, but it is a time for real celebration in many of these countries. There are often national holidays and people have big family celebrations with lots of eating, drinking and jumping over bonfires*! *Don’t try this at home! December is a big month for ecommerce (well, any commerce) with Christmas being the main driver for online spending in numerous countries. However, on the 5th (or 6th December) across many European nations, Children are receiving gifts courtesy of St Nicolas. This patron saint of presents, known to many also as Santa Claus, arrives in early December in countries including France, the Netherlands, Germany and Belgium. While the commercialisation of Christmas has led to gifts also been given around this time, St Nicolas Eve is still more important, especially for young children. This festival on 3rd March is a celebration of girls and is about wishing young girls prosperity and happiness. In an ancient tradition, families arrange 15 dolls on a tiered platform to represent the Emperor and Empress and their court. Families come together, drink and eat traditional foods and pray for their daughters. 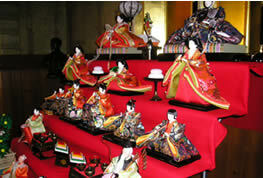 The dolls must be removed by 4th March, or tradition says the daughter will marry late. Japan’s national Children’s Day in May used to be called Boy’s Festival; however in 1948 it became a day to celebrate all Children, although Girls day remains the same. One thing many countries agree on is the importance on mothers and fathers, and there is almost always a day to celebrate each. However the date for this varies significantly. May is the most popular month for Mothers day across many European and Asian countries, however in the UK, it is in March, the date changing yearly depending on when Easter falls. The UK joins many of its European neighbours to celebrate Dads in June, but the Scandinavians make them wait until November! As children around the world flock to treat their parents, there is a lot of money to made from these two events – but ensure you’re spending your budgets in the right place, at the right time. We’re all quite familiar with the important American celebration of Thanksgiving, but Korea has an equally important national Thanksgiving. It’s a harvest festival, taking place in the 8th Lunar month of the year and resulting in a 3 day holding, where Koreans traditionally visit the hometowns of their ancestors and share a feast with families. 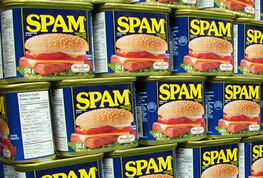 Giving gifts is also common during this period with…wait for it….Spam, yes, you read correctly Spam, being one of the most popular things to give to loved ones. Customs and traditions are very important to people and a huge part of a country, or regions, culture. Understanding what matters to your audience in each target market, and tailoring you messages and offerings to suit, will help build trust for your brand and allow you to capitalise on events and festivals you would never have even thought of (I mean, Spam?!?!). I know there will be many more that I haven’t mentioned here – what is the biggest festival (and marketing opportunity) in your country? Are You Going to be an Event Blogger for State of Digital?